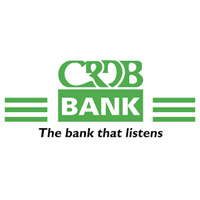 CRDB Bank PLC is looking for suitable person to fill a vacant position of Loan Work Out Specialist in the Department of Special Asset Management at the Head Office, in Dar es Salaam Tanzania. Negotiate and formalize retention or liquidation workout solutions with defaulted borrowers, in an effort to minimize foreclosure and to mitigate loss to the borrower and/or the company. Negotiate and finalize specific terms of retention or liquidation workout solution with borrower. Facilitate disposition efforts with borrowers, loan officers, attorneys, recovery agents, title companies and/or other third parties. Follow up as needed to ensure closure of approved deals. Educate and counsel borrower on workout options and the implication of each option. Obtain transaction approval by preparing deal package for management review. Present liquidation offers that may result in a loss to management that will result in the maximum return for the company/investor. Maintain current status of each deal in loan servicing system; provide updates to management as needed; and gather documents for investor reporting. CRDB BANK PLC offers competitive remuneration and benefits. Successful candidate will receive attractive and competitive package commensurate with demands of the position. Interested candidates who meet the above criteria should submit an Application Letter accompanied with copies of academic transcript, certificates and with a detailed up to date CV with two work related referees addressed to the Director of Human Resources not later than 1st September 2017.